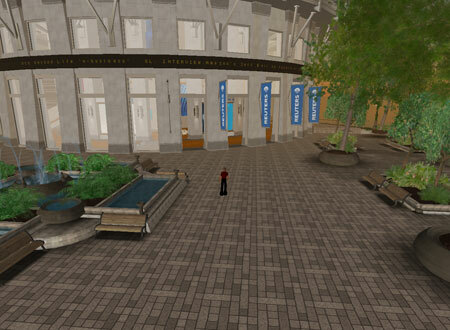 Reuters opened the Reuters Atrium, on their website (secondlife.reuters.com) they feature in-game news, as well as the stock exchange rates from the Linden Dollar (the in-game currency). Adam Pasick, a veteran tech and media journalist goes in Second Life by the nickname of Adam Reuters and acts as Reuters’ bureau chief. 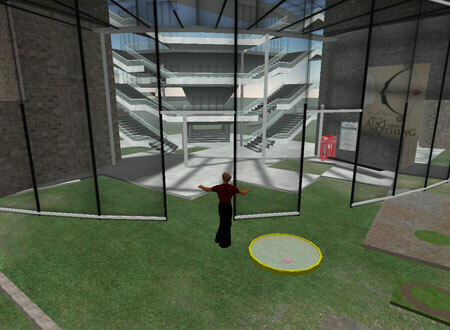 It’s not that Reuters was the first to bring news from Second Life into real life. The Second Life Herald was doing that already. But they didn’t have the island with the huge buildings. Still. They were first. 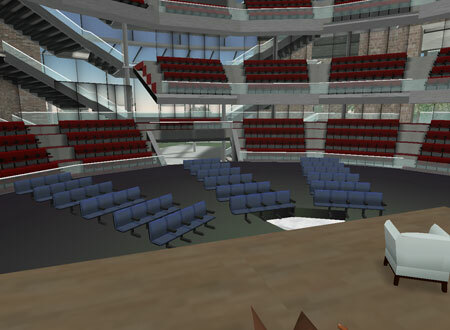 C|Net launched its virtual alter-ego which lookes a lot like the real-life building and includes an amphitheater, office space and attractive outdoor patio. 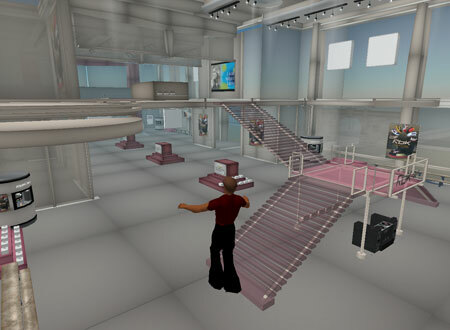 The space will be used for a series of interviews with virtual-world luminaries, and as a forum for C|NET News.com reporters to come and talk about stories they’ve written. Over time, however, C|NET hopes the space can be used for CNET.com reviewers to talk about products they’ve tested, as well as for any number of multimedia projects, including the posting of CNET videos, meet-ups and other events. 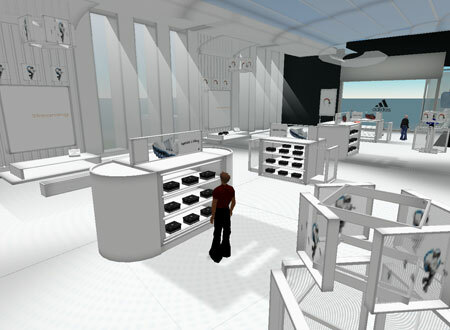 Adidas opened a store on a private island in early September. The huge complex includes a dome that projects a branded video clip, a few billboards, and an orange ‘test-your-shoes’ trampoline to demonstrate the ‘bouncy’ positioning. 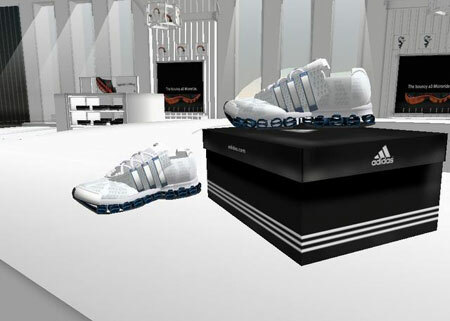 Avatars who wear Adidas shoes can jump to the sky through the script that came with the sneakers. Reebok’s store is an SL extension of RBK Custom campaign. Visitors can customize their sneakers as well. Reebok island is a bit too much like a real-life mirror. It features a desolate city and an empty parking lot. 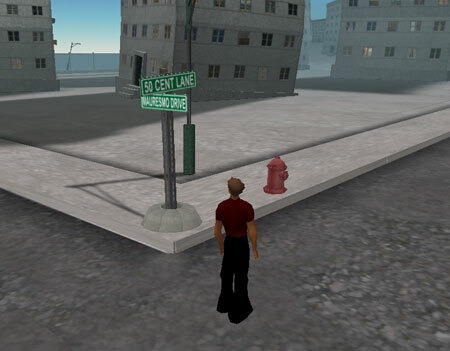 The streets have names of the Reebokly-branded people like ‘50 Cent Lane’ and ‘Mauresmo Drive’, and the store has a classic Second Life look and feel. Spacy, stylish and designy. The basketball courts on the island are (obviously) branded with logos, but since I’ve been there four times and always was alone, it’s kind of hard to play the game. The store only sells blank sneakers, but does offer them in different sizes. You can take them to the coloring machines and customize them to your own taste. American Apparel was the first actual clothing brand to take the step to Second Life. The building is based on the fashion label’s Tokyo showroom. The sleek, mostly glass structure is shaped like two stacked boxes, and features lighting that changes at virtual nightfall. The few times I visited this store, more than a dozen people were checking out the clothing. That’s very cool. There’s a lot of life here, which is very good for the brand. Bartle Bogle Hegarty’s (BBH) office is also located on a separate island. A small chill-out area at the entrance of the block invites restless minds to come at ease, the “offices” are on the right and there’s also a conference room with a media screen that would most likely play either promotional ads or video clips. All the structures are roofless, which makes it very inviting to visit and explore. Leo Burnett’s Creative Hub. An apple tree with a coming soon note. For a few weeks already. Much ado about nothing so far. A lot of press buzz for a storm in a glass of water. Being first is one thing. Having a ‘coming soon’ sign up for a few weeks is another. The apples are ripe. Time to harvest. VIA launched their agency in Midnight City on the ground floor of what seems to be a locked-down office building. Only level 0 is accessible and some office furniture has been placed around the one-room office to create the illusion that sometimes people come there to work. In sharp contrast to BBH, this tiny office actually has a more realistic look and feel than the bombastic buildings on private islands, far away from the people. These guys are just ad guys, having a blast across the lingerie store, like normal ad guys do. On the C|Net island Regina Spektor, the New York singer and pianist, now has a virtual spot. You can listen to almost all new tracks from her upcoming album (I listened to at least 5). The setting is cozy, jazzy, loungy… there’s some soft red lights that create a relaxing atmosphere. Perfect for prelistening the tunes. You can’t buy any merchandising though. Just a nice experience, but you can’t take it with you. 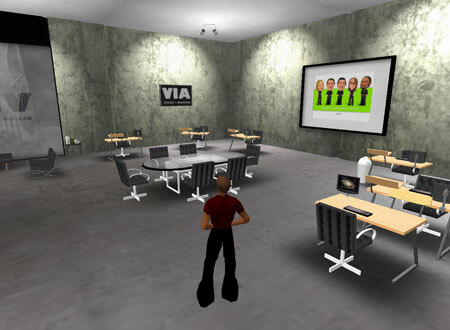 You know it wouldn’t take that long before someone would introduce voice chatting in Second Life. Vivox did it. You can make free phone calls and talk to friends in the game. 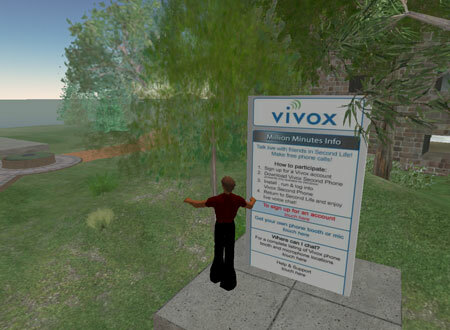 All you have to do is sign up for an account, download Vivox Second Phone, install it and run SL again. Starwood aloft hotel became the first company in history to open a new hotel brand inside of a virtual world. 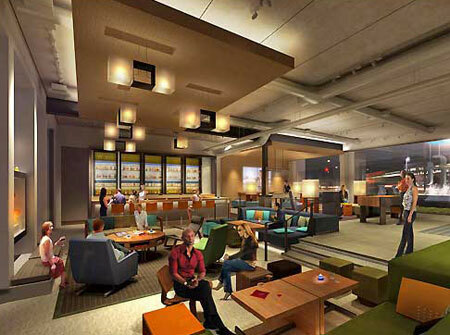 Prior to opening to the public in 2008, aloft hotels will offer a sneak preview inside of Second Life, giving visitors an in-depth insiders view of how a virtual hotel is created. Sun Microsystems opened a pavillion and launched its presence in SL by holding the first ‘in-world’ press conference by a Fortune 500 company on October 10th. 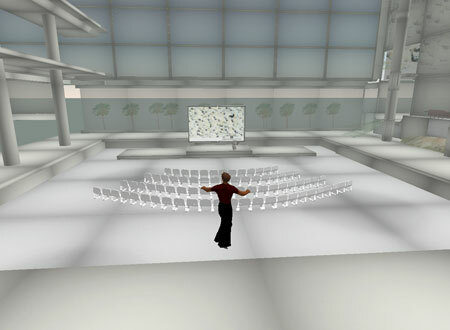 Sun Chief Researcher John Gage, appeared in avatar form and discussed the purpose and goals of Sun’s foray into Second Life. He addressed the opportunities for experimentation with new forms of communication, collaboration and economic activity in the virtual world. Chris Melissinos, Sun’s chief gaming officer, also spoke during the event. Toyota has entered the virtual world as the first automotive advertiser, dropping their Scion all around the grid of Second Life so users could drive it around and interact with it. A full launch is planned for late October, when SL citizens will be able to customize Scion models. Makes sense, considering Scion already lets buyers do a fair amount of customization on real-world cars. IBM experimented with real-live data updates from Wimbledon. They didn’t rebuild the arena, but simulated the entire event. RSS hubs could be touched and then showed the RSS data from the wimbledon.org website. 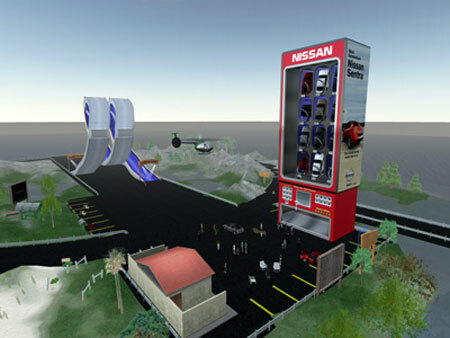 Update: Yesterday night (the 24th), Nissan launched in Second Life. Nissan has brought in one of the characters from the ad campaign, who in SL is known as Toast Alicious. Toast is, yes, a piece of toast. To get a free car, you have to find his avatar, or if that’s too much work, search for “Toast Alicious” and send him an Instant Message. Nissan has put down a massive vending machine on their location, now where did I leave my giant coins? 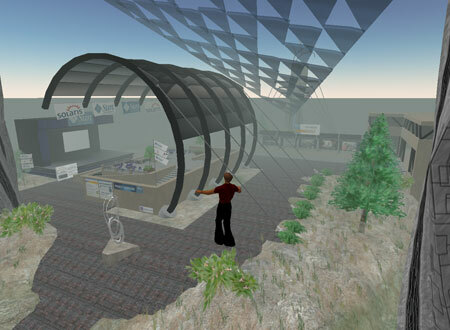 Amazon CTO Werner Vogels revealed that a group of Amazon engineers is looking at ways to use Amazon Web services to bridge Amazon with Second Life. 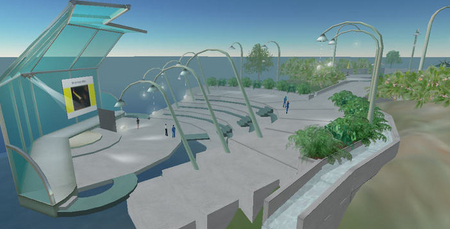 According to a comment by Vogels at the virtual-worlds blog 3pointD.com, it’s not an official project. But it’s no secret that Amazon CEO Jeff Bezos is an investor in Second Life creator Linden Lab. GM’s Pontiac division is the next mainstream company to join the one million strong Second Life community with the creation of the soon to be launched Motorati Island where residents can engage all kinds of automotive-related projects such as the construction of racetracks and dealerships where the Pontiac Solstice will be on display. Nice round up! I’m glad you caught Electric Sheep projects Reuters, Starwood, Nissan… you might also check out Sony BMG’s presence on the Media sim. Our MLB.com projects have been a fun one too, although this has been more about events — there’s not much other than the stadium to look at when an event is not going on. On the ad agency front, GSD&M is about to launch as well (launch a real presence, that is, not a press release). I can vaguely recall the days when things were very different. starting to spend some time on this thing called the internet. the house again, and vowed to radically change their behavior. world had similar things that they wanted to talk about  surprise! ever thought they would back in the early days. 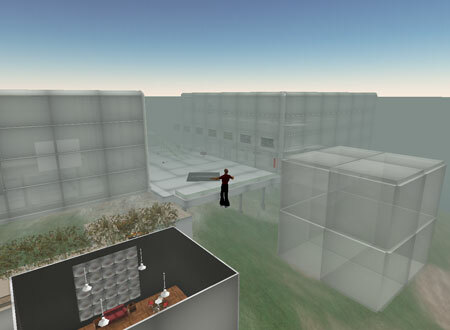 the on-line role-playing game Second Life produced by Linden Labs. 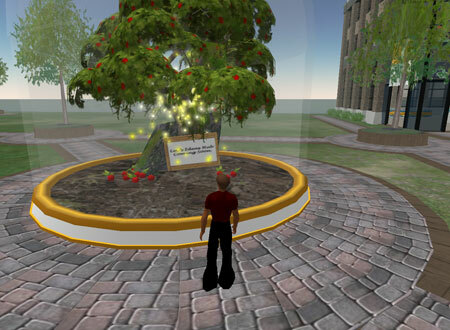 able to watch what is going on in that brave new virtual world. 35,000 residents that felt like they had died and gone to heaven. they had dreamed of, but were never able to do before. how to reach people in a meaningful way on behalf of our clients. people to participate in a positive brand experience if they choose to. inevitable, natural evolution of any society? integrate themselves in a relevant way for the people involved. the virtual worlds, and if so, is it a place they want to see you? 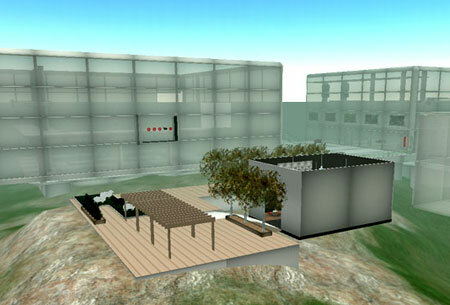 Zen of Design»Blog Archive » Second Life Hits Bogus Milestone! Actually, the Herald offices are in a tall and well-constructed building on the mainland river sim of Louise. A very pretty area. It used to be edge-of-the-world before the Lindens built out — it’s quite respectable. In fact, being on the mainland, in its way it could be more visible and have more spontaneous visits and interactions because people exploring could fly by. Pro tip: take your flying avatar out of the picture — he looks like a dork flying there and it’s a sort of newbish giveaway. To get your avatar gone, use the alt button on your keyboard — hold it down while you left-click with your mouse on any object you want in your picture — then using that combo of held-down alt and left-click zoom around the camera angle to get past your avatar. Makes for a cleaner photo. Prokofy, thanks for the tips. I was already aware that I could make me disappear, but I choose to show myself, since I was giving a tour. :) I’ll check out the Herald building and thanks for the tips.